Curious about life at Magnolia Springs? Click the video below to get a look at the lifestyle and activities that make this community such a comfortable, enjoyable, and fun place to live! It’s the next best thing to sampling the food! Get a peek inside the kitchen and dining room. View the video to get details about the dining experience every day at Magnolia Springs. 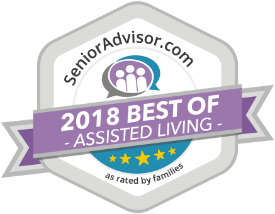 There are so many advantages to choosing senior living in Louisville, Kentucky. Magnolia Springs in East Louisville is one of them. It’s conveniently located at 13600 LaGrange Road, Exit 30, right off of the Gene Snyder Parkway. One of two attractive locations in Louisville, this Magnolia Springs community places you approximately 17 miles from metro city center via I-71 North. Your out-of-town kids and grandkids will love visiting top Louisville attractions like Churchill Downs and the Kentucky Derby Museum. They can take in a game at Louisville Slugger Field and enjoy an afternoon at the Louisville Zoo. With tour options ranging from the Frazier History Museum and Muhammad Ali Center to the haunted Waverly Hills Sanatorium, there’s something for everyone.